The Zandstra lab is interested in how individual cells form complex tissues and organs. His research focuses on understanding multiscale interactions between cells, and the influence of these interactions on internal regulatory control networks, and the external microenvironment that shapes cell fate and functional tissue development. 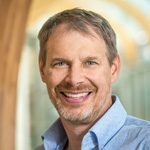 His team is developing mathematical models of interactions between cellular regulatory networks and their local microenvironment, and using model predictions to guide the design of engineered niches and synthetic cells that detect, select and control functional tissue development from adult and pluripotent stem cells. These discoveries will elucidate the process of multicellular organization into complex functional tissues and enable production of therapeutically relevant cell types, with a particular focus on the blood cell forming system. To learn more about Dr. Zandstra’s research please visit Google Scholar.